Officially the sunniest town in Britain, Bognor Regis is an old-school seaside resort in West Sussex. The first tourists arrived in the 18th century, and King George V convalesced from surgery here in the late-1920s, which is how the town gained its royal Regis suffix. Ever since the Butlin’s holiday camp opened in 1960 Bognor Regis has been an archetype for England’s staid seaside resorts, and all the good and not so good things that these stand for. 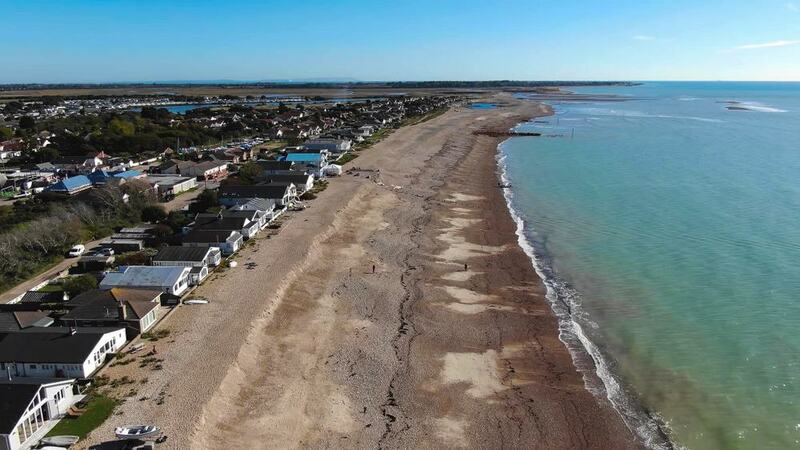 But the truth is that as summers in England get hotter by the year, sunny spots like Bognor Regis are finding a new lease of life. 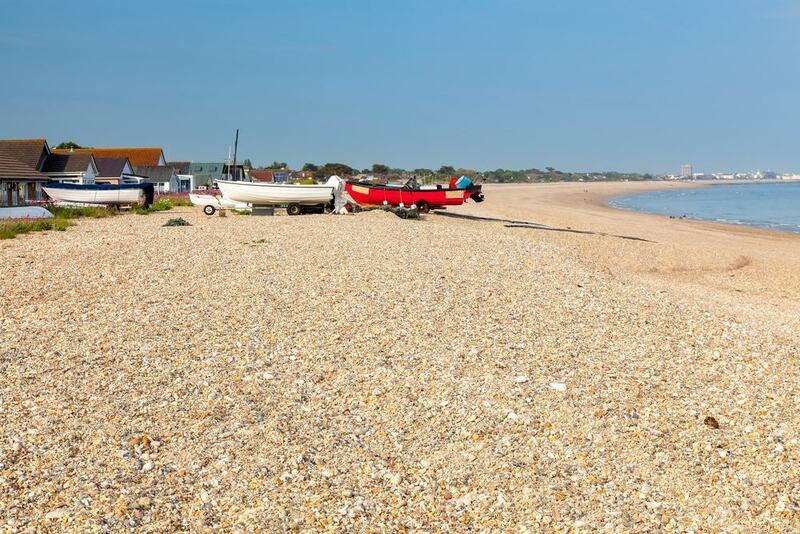 There’s an unending string of shingle beaches trimmed by a promenade for pubs, cafes, dainty parks and shops selling English seaside favourites like rock candy. When it comes to facilities the beach directly east of Bognor Regis Pier is endowed with all you could wish for on a summer’s day. The East Beach is kept spotlessly clean all year round and in the summer has lifeguards, deckchair hire and a row of stands selling ice cream and cold drinks along the promenade. Bognor is moving with the times and there’s now a “Flex on the Beach” fitness trail, while youngsters can build sandcastles at the “Beach on the Beach” sandy area on an otherwise shingle piece of coast. 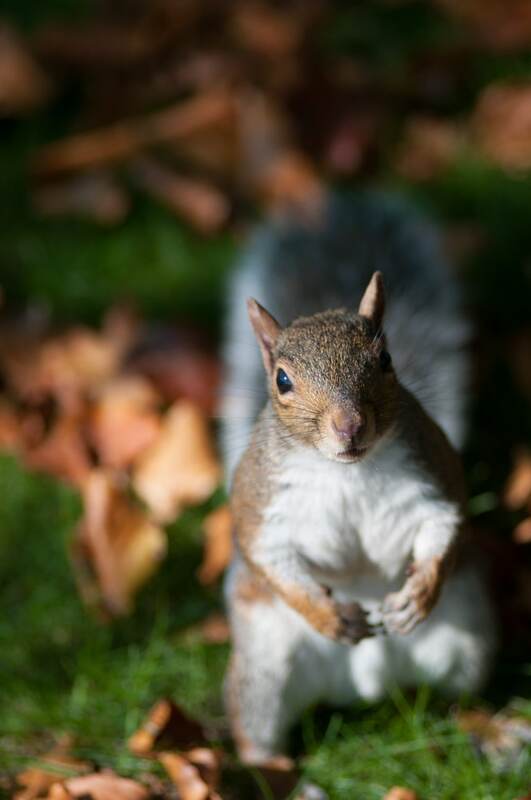 If you get peckish you won’t have to walk more than a minute or two for a pub, cafe or restaurant, and there are waterfront gardens all along for a dose of chlorophyll. Sir Richard Hotham, the man who founded Bognor Regis as a seaside resort chose this land for his estate at the end of the 18th century. His elegant Georgian mansion is still here and has been turned into luxury flats, while there are elements from the estate around the park, like an icehouse. 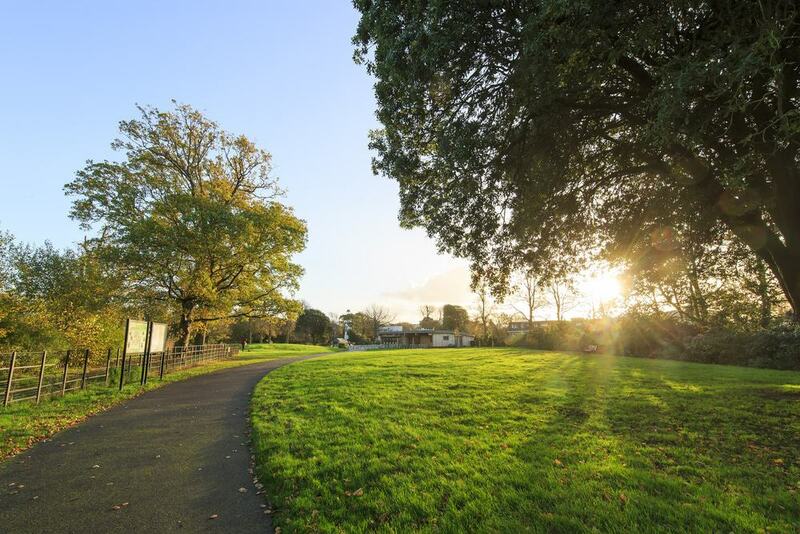 These tranquil nine hectares have a conservation area, arboretum, boating pond, putting green and crazy golf course. The bandstand in an idyllic glade hosts the summer Proms in the Park classical concert, and children will be besotted with the park’s miniature railway, pulled by “Boris” the steam engine. 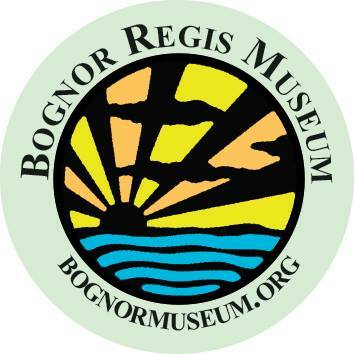 A mine of information on Bognor’s origins and progress, Bognor Regis Museum merits a stop on West Street. With showcases carefully packed into a former house, the museum profiles some of Bognor’s more interesting characters. One, Mary Wheatland (1835-1924), was a bathing machine operator nicknamed “Bognor’s Mermaid” for saving numerous lives in the Victorian period. There are some fantastic collections vying for your attention, like vintage railway posters, sets of fossils and early radios and cameras, all bequeathed by enthusiasts. The museum has also reconstructed an Edwardian kitchen from when the resort was at its peak before the First World War. When the sea breezes become a touch balmier in spring you couldn’t ask for a finer place stop on a sunny afternoon than Marine Park Gardens. Next to Aldwick Beach in the west of the resort, Marine Park Gardens is on a long, narrow plot and was laid out in the 1930s. There are formal lawns, flowerbeds full of colour in summer, herbaceous borders and historic shelters. Golfers can touch up their short games at the 18-hole putting green and the new sensory gardens have been designed for the hearing and visually impaired. The countryside not far north of Bognor Regis is some of the most picturesque in the South of England. Within five miles you’ll arrive at the South Downs, a range of dramatic chalk hills for brisk walls rewarded with awesome views. These rolling downs are covered with verdant grassland grazed by sheep and cattle. Apparently, it wasn’t always this way, as the woodland that used to cloak the hills was cleared for livestock some 3,000 years ago. There are prehistoric flint mines and Bronze and Iron Age forts throughout the range. For days out you can tour the plush castle at Arundel, discover the ruins of Boxgrove Priory or take turns in any number of sweet country gardens (Denman’s Garden is closest, at 15 minutes). The westernmost beach along the Bognor Regis Promenade is on the waterfront of Felpham, just beyond the Butlin’s camp. Felpham was once a separate village but has been engulfed by Bognor’s post-war expansion. Here you can delight in a classic West Sussex beach with another big spread of shingle divided by a line of wooden groynes. Like all of Bognor’s beaches the shingle is on quite a high gradient, but when the tide is out there’s soft sand to walk on. On a warm summer’s day the promenade is the place to be, for its wooden beach huts, putting green and the Boat House cafe, which has a terrace for sea views. 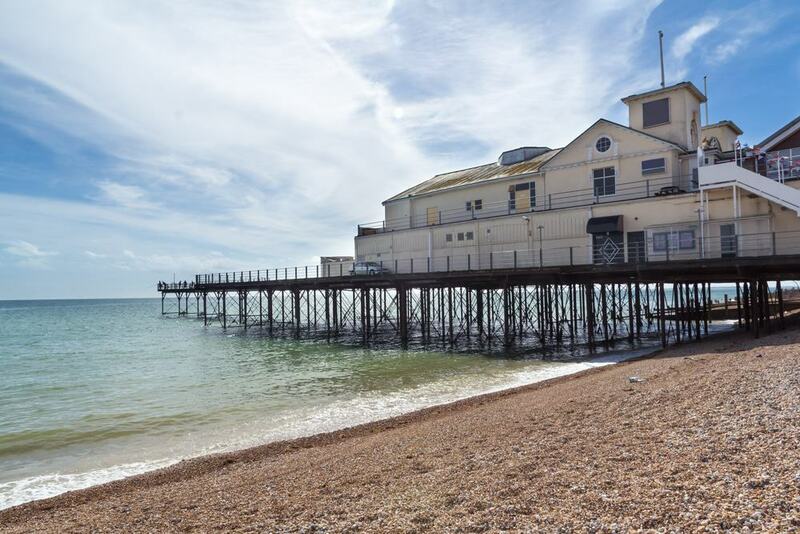 First constructed in 1865, the pier at Bognor Regis testifies to just how difficult it is to preserve these monuments to the Victorian period. Once more than 300 metres long the pier has suffered a fire in 1974 and been shortened by storms in the mid-1960s and 1999. The 1,400-seater Pier Theatre has been lost, but there’s fine architecture on the landward end (containing the Sheiks Nightclub), and the structure has Grade II listing. Now 107 metres long, the pier is still a good place to stop for a moment, breathe the sea air and look over Bognor’s long shingle beaches. When moving pictures arrived at the turn of the 20th century they found big audiences at seaside resorts like Bognor. The cinema for Bognor Regis was installed at the assembly hall, dating to 1886, and a lot of that Victorian architecture survives in the staircase and auditorium. Outside take in the gorgeous iron and glass canopy and its historic stained glass “Picturedrome” sign. There’s a pay desk dating to 1919, a rare survivor in the UK, and the boxes on either side of the proscenium arch are from 1911. 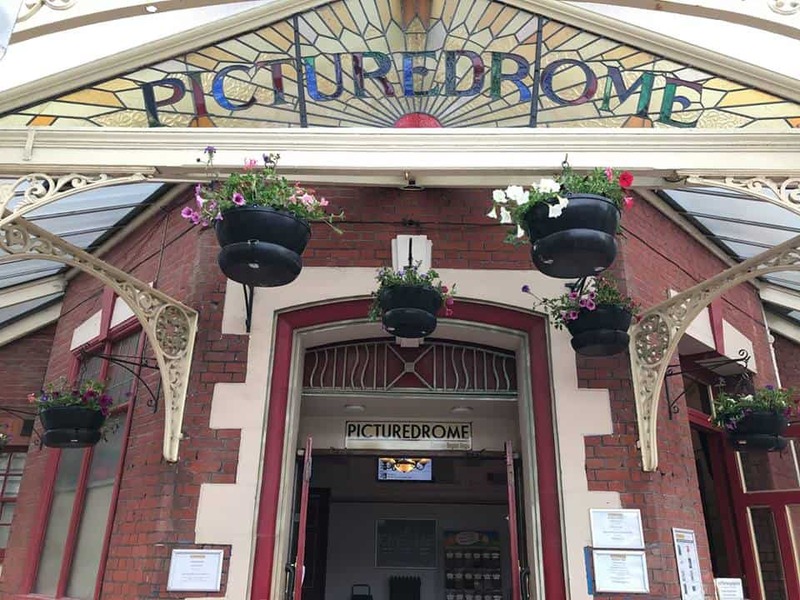 And of course, added to its merits as a building, the Picturedrome is great for a family outing to see a summer blockbuster or animation. Bordered by the promenade and Marine Park Gardens, Aldwick Beach is a short way west of the pier and is a calmer, more residential option to the East Beach. There’s a cafe just behind, which also has a shop where you can buy things like windbreaks and inflatables for children. You’ll also find a parade nearby on Marine Drive so you won’t have to go far for a meal or essentials. There’s lots of room for everybody here, especially when the tide recedes and gives way to a broad strip of sand, ripe for a beachcombing expedition. It wouldn’t be a seaside town if there wasn’t a theatre for live music, comedy, musicals, plays and pantomimes at Christmas. 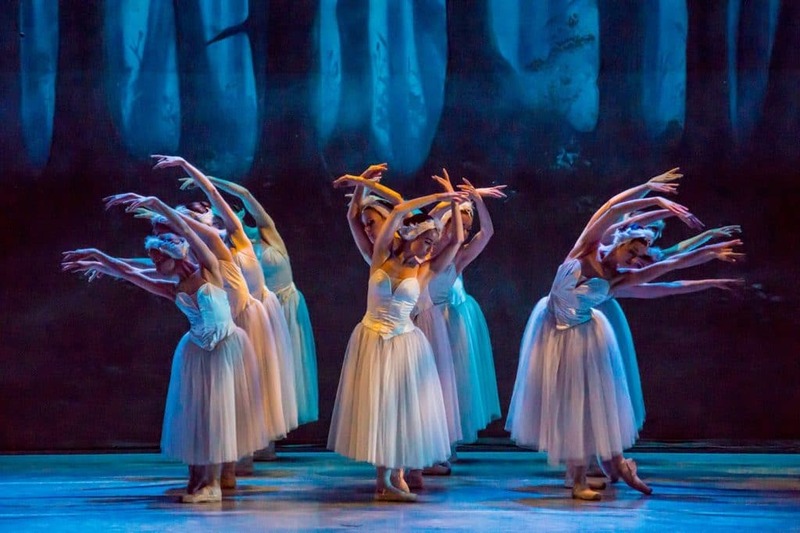 The Regis Centre was built in 1980 and contains the Alexandra Theatre, seating 357 and the more compact Little Alex, a studio theatre for 60 spectators. This is the only performing arts centre between Portsmouth and Worthing, and so books some big names, especially from the British comedy world. In 2018 Tom Allen and Phill Jupitus performed here in 2018, while Sarah Millican has appeared in recent years. 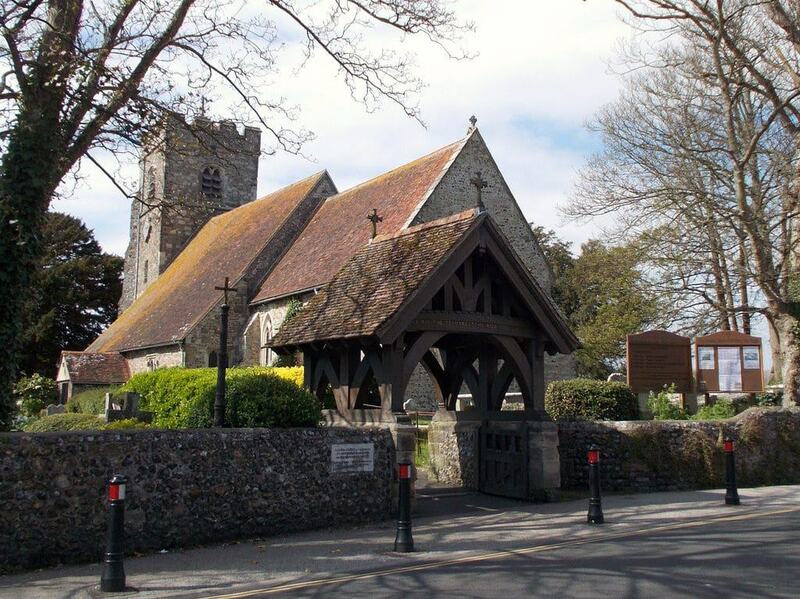 In Felpham you can hunt down a Grade II* church built in the 12th century. It’s worth the time of anyone enthused by Medieval architecture, with a north arcade from 1200, a chancel from 1350 and a Perpendicular Gothic tower raised in the 1400s. The chancel is especially pretty from the outside, with three bays and buttressing, while there’s a mixture of Decorated and Flamboyant Gothic styles in the windows here. If you can get inside there’s a 14th-century piscina in the chancel, as well as a 13th-century Wealden marble font carved with late-Romanesque arcading. 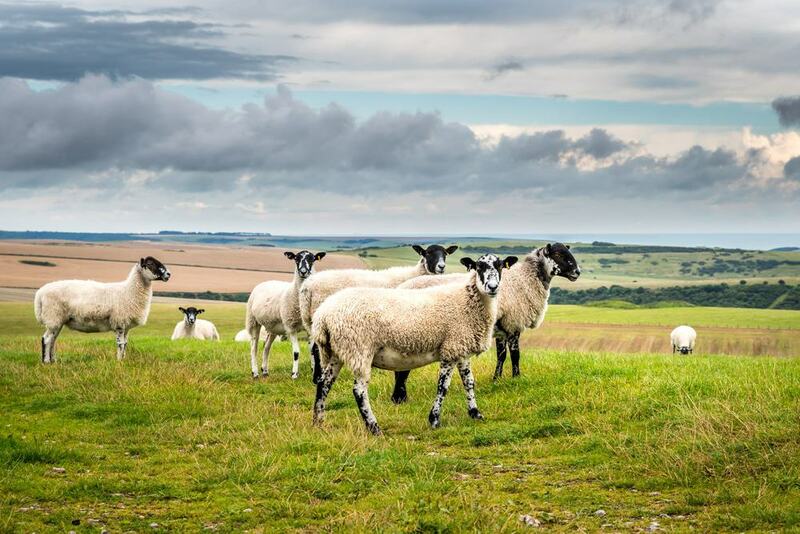 You don’t have to go as far as the South Downs for an energising walk in countryside. On Bognor’s northern edge is 46 acres of greenery in three fields on the banks of the Aldingbourne Rife (stream). 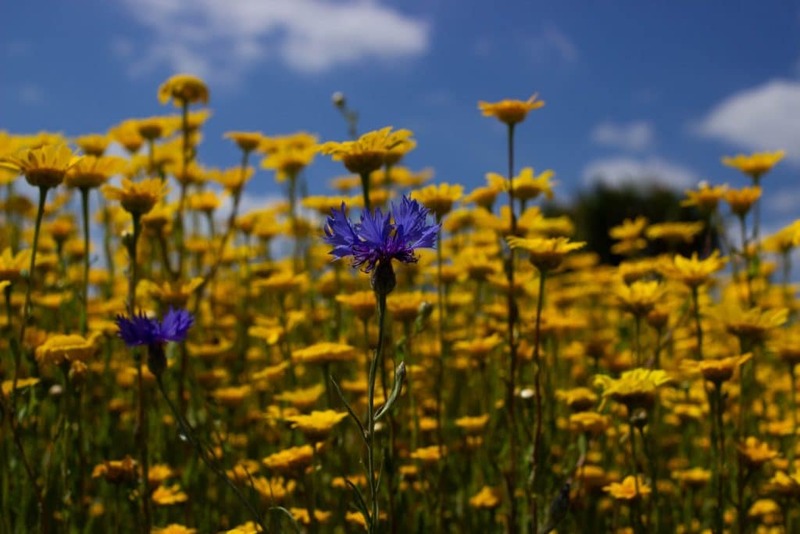 This space is looked after by the Woodland Trust and is rather diverse, with mature woodland, old irrigation ditches, scrub, wetland and meadows. You’re sure to bump into plenty of dog walkers at Bersted Brooks, and there are information boards if you’re curious about the birds, insects and small mammals that inhabit this spot. 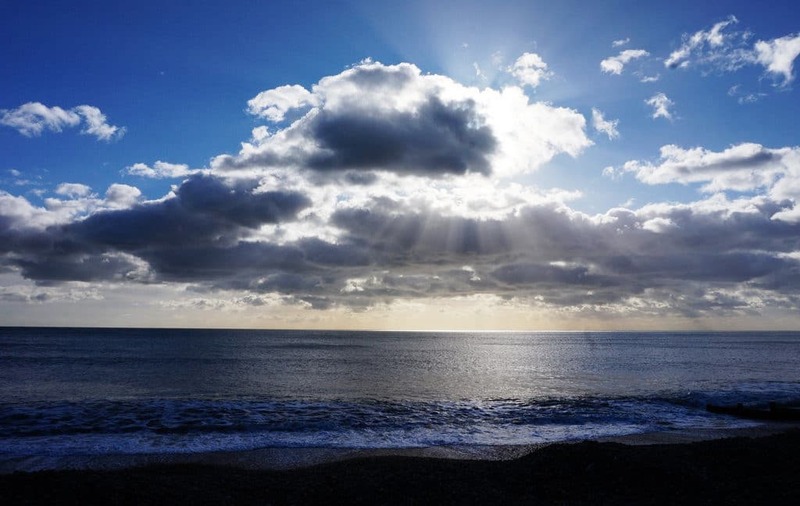 The remotest of Bognor’s beaches still has plenty to recommend it. 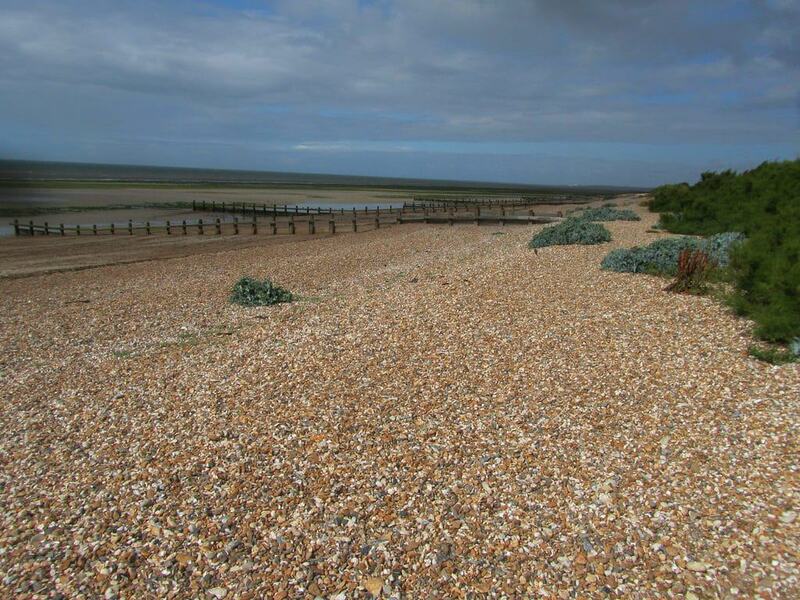 Here, a couple of miles west of the resort, there’s a long curve of shingle beach uninterrupted by groynes. Pagham Beach has a yacht club, beach shop and cafe, as well as kitschy amusement arcade with retro machines. For walks the unusual landform of Pagham Harbour is just behind. This is a real natural harbour; not an inlet, and its lagoons, reed beds, salt marsh and mud flats are a key habitat for birds. Pintails stop over on their migrations, ruffs spend the winters here and little terns are a common sight in spring when they breed and lay their eggs in the shingle. At the back of Aldwick Beach West Park merges with Marine Park Gardens. During the Bognor Regis Carnival in June a funfair sets up for three nights in this verdant space. West Park has mostly open fields trimmed with rows of trees. At the centre is a cafe so you can reward yourself with tea and cake after your wander. Being so open, West Park catches the winds blowing off the Channel is a prime spot for kite-flying. Since 1978 the pier at Bognor Regis has hosted one of the most absurd events around. 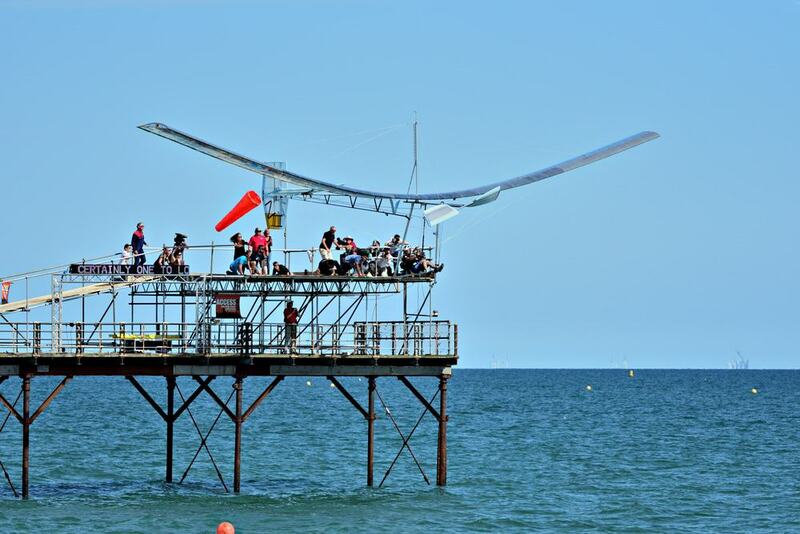 The International Birdman entails people launching themselves attempting to travel over the Channel as far as possible. The field is broken down between serious gliders, eccentrics with homemade contraptions and people with no hope of going anywhere except straight into the water, all in aid of charity. Over the last 40 years the event has been cancelled a few times because of understandable health and safety concerns. Normally it all goes down on the first weekend of September, and in 2019 International Birdman will take over the whole town, spreading into the high street and engaging local businesses.